So, after weeks, possibly months, of searching for your perfect equine partner, you have finally bought the horse of your dreams. Congratulations! Becoming a horse owner for the very first time is tremendously exciting, but it can also be quite nerve racking. You are now responsible for all of your horse’s daily needs, requiring 100% commitment from you, seven days a week, in all weathers. Also, moving your new horse into another barn is likely going to be quite stressful for him, and time must be allowed for him to adjust and settle in. Think back to when you started school or a new job and how lost and awkward you felt. That is precisely how your horse will feel. 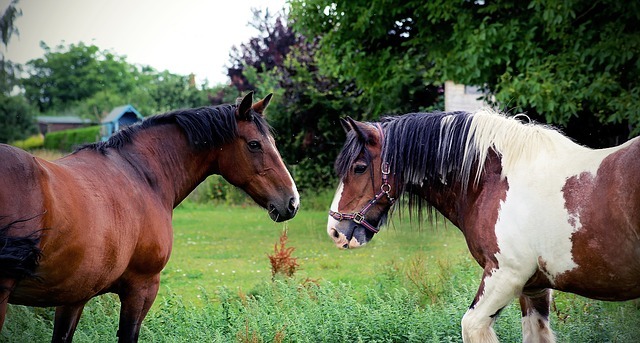 Your horse will be in unfamiliar surroundings with unfamiliar faces, both equine and human, having left the security of his previous owner and stable mates behind, in a place that was once his home. If you follow our tips, you will be fully prepared for your new arrival, and you can help your horse settle into a happy new life with you. Before bringing your new horse home, you will need to organize a few things. 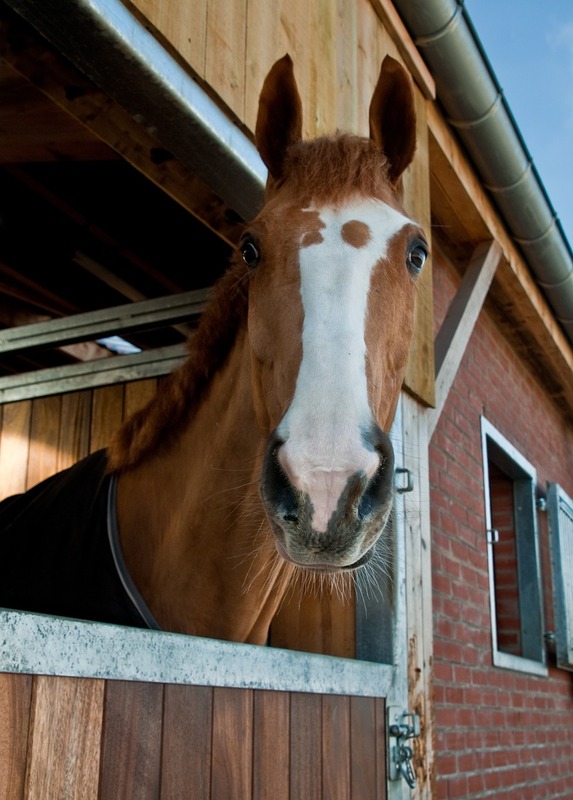 If you intend to board your new horse, you should reserve and pay a deposit for a stable at a suitable barn. You can either opt for full board, or provide everything yourself. This choice will depend on your circumstances and financial situation. 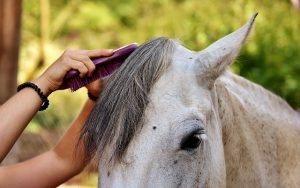 Find out which vets, farriers, and horse dentists the barn uses and ask for their contact numbers. Also find out if an instructor is based there, or if you’re allowed one from outside of the facility. If you are providing your horse’s bedding, then you will need to acquire wood shavings or straw from a supplier. A saddle is a crucial piece of equipment for a new horse owner! 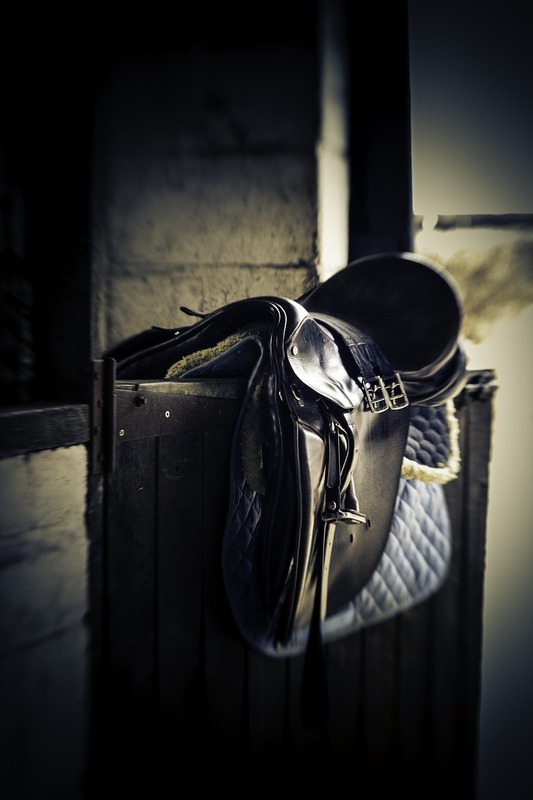 Saddle and bridle: if your horse doesn’t have any, then you will need to arrange an appointment with a qualified saddle fitter. Ask around for recommendations. Find out what feed and hay your new horse is currently having along with any supplements. You may wish to switch to another brand of feed, but this should be changed gradually over seven to ten days to decrease the risk of colic. Buy a couple of bags of his current feed and ask the previous owner if you can purchase one or two bales of hay so you can mix it with yours. If you don’t have a trailer, then you need to hire one to collect your horse. The barn may provide this or recommend someone who can do it for you. Make sure you buy or borrow travel boots to protect your horse during the journey. 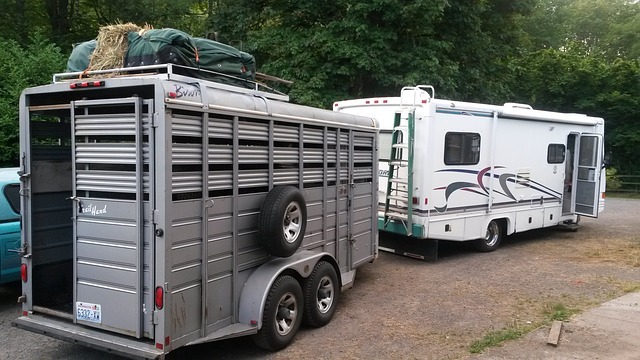 A horse trailer is a good thing to have even after the initial move-in day. It is essential that you have insurance for your new horse. With so many different policies available, it can be incredibly overwhelming for a new horse owner. Most owners choose an insurance plan that includes veterinary expenses, mortality, personal injury, and third-party liability. 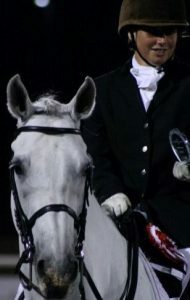 Contact equine insurance companies who can guide you toward the best policy for you and your horse. Before you move your new horse from his current home, make sure he is in good health and that all his worming and vaccinations are up-to-date. Get a copy of his vaccine records, including a copy of the Coggins Test. Find out from the previous owner what your horse’s usual routine is, so you can try and follow a similar pattern, helping him to settle more comfortably. If another horse was using the stable before your horse, ensure it was cleaned out completely and disinfected before placing your new bedding in it. Provide a salt lick and use water buckets even if there is an automatic drinker so you can see how much your horse is drinking. Horses typically don’t like unfamiliar water, so make sure it is clean and fresh to encourage him to drink. If possible, ask the previous owner for the bucket that your horse was using before. Be prepared for your horse to be anxious and difficult to lead when he comes off the trailer. It may be better if someone more experienced with horses can handle him when he first arrives at the barn. Remove his travel boots and put him in his stable with clean water and some hay, allowing him to take in his new surroundings. Make sure he can see the other horses in the barn, and expect a lot of whinnying! It is best not to do much with your new horse for the first few days so he can have a chance to settle. Spend time gently grooming him so the two of you can start to bond. Brush him slowly and talk to him so your voice becomes familiar. You can also lead him around the grounds using a bridle for greater control. Witnessing a bond being created between a horse and her owner. When turning your horse out for the first time, use boots on his legs for protection. Put him in a paddock adjacent to the other horses so he can safely get to know them and they can check out their newest companion. Keep an eye on him though, as horses can still kick and bite each other even with a fence dividing them. Having time in the paddock will help him relax and get him accustomed to his surroundings. You should cut his feed down if he is not working so you don’t risk him having colic. After a few days, it should be fine to turn him out with the herd, but make sure you are there to keep an eye on things as you don’t want any injuries either to your horse or others. After all, it is their very first time meeting without a fence dividing them. Just a pair of friends meeting for the very first time. When you decide to ride your new horse for the first time, go slowly. You may even want to lunge beforehand to get rid of any excessive energy. Ride in the arena the first few times and don’t ask too much of him. Just do some basic schooling and keep things simple. 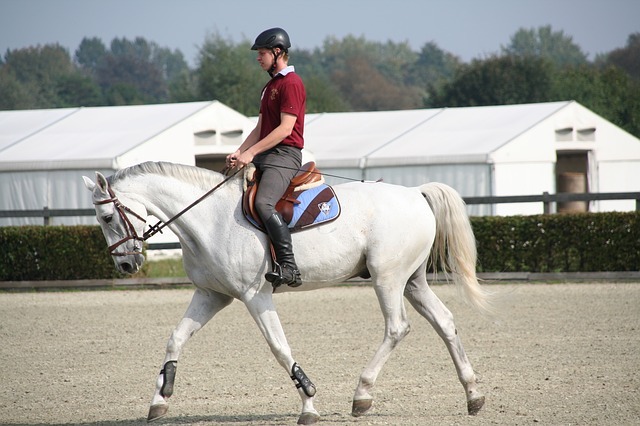 If you feel everything is going well with your horse after a few days, take him for a light ride. He may spook easily, so ask one of the other horse owners if they can ride with you for safety, and so you can learn the best routes. If you take things slowly with your horse at the beginning, he will eventually settle. Depending on the animal’s personality and temperament, it can take a couple of weeks or up to six months. Check that your horse is eating and drinking normally and consult your veterinarian if you have any concerns regarding his well-being. Keep in contact with the previous owner. They will be pleased to know how your horse is doing and they can often advise you on his typical habits and behaviour if you have any doubts or concerns. This horse is greatly enjoying getting to know his new owner. Build healthy relationships with the other owners at the barn. That way you can help each other out with the care of each other’s horses, ride together, and seek their advice when needed. 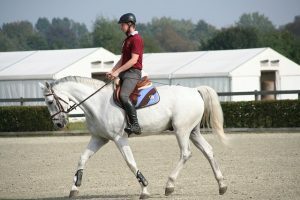 If you can afford it, continue to take regular lessons with a good, qualified instructor so you and your horse can progress together and establish a partnership. Most of all, enjoy the wonderful feeling of being a proud new horse owner!